Most people have fond memories of playing with LEGO bricks during their childhood (and some well beyond), but there is also another memory associated with the beloved toy. With all their sharp edges, LEGO bricks are extremely painful to step on. LEGO knows this pain, and they have teamed up with French ad agency Brand Station to address the problem. You can't exactly change the bricks, but you can protect your feet. So they have designed padded slippers to create a barrier between your delicate feet and the sharp toys left strewn around the floor. The footwear comes in the iconic LEGO red and yellow with the logo on the front. Unfortunately, they are making only 1500 pairs of these trendy and helpful slippers. 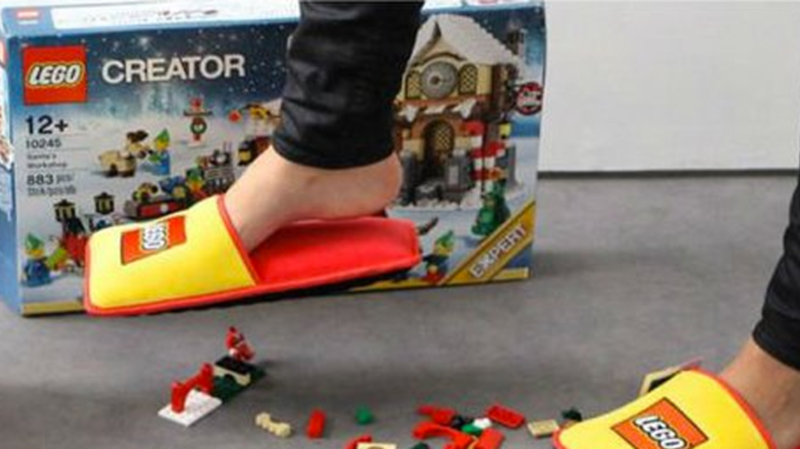 If you want to grab yourself a pair, you'll have to fill out a wish list request on the French LEGO website.